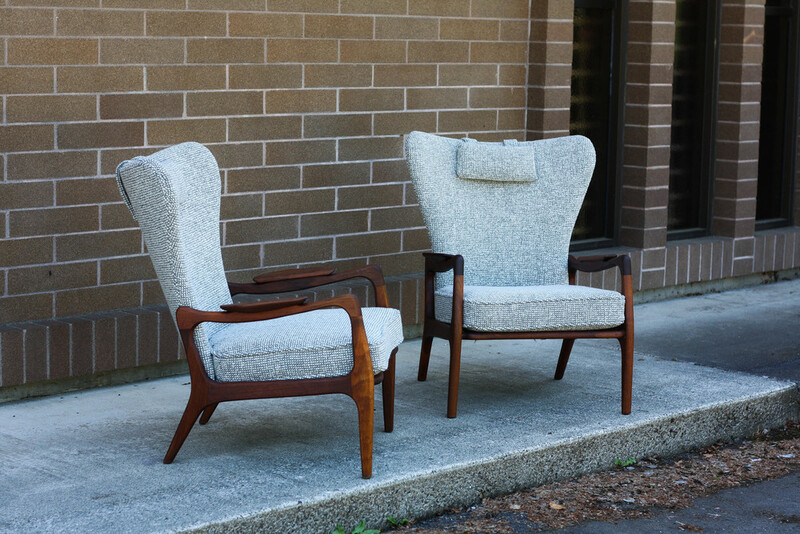 Here we have two, completely restored, Adrian Pearsall 1410-C high back chairs for Craft Associates. The solid walnut frame has the most gorgeous patina of any chair I've seen. There are no major cosmetic blemishes to the wood. The chairs have been completely restored with all new strapping, high density foam and batting, and brand new Maharam Pebble Wool. The fabric alone runs $135/yard. Be sure to note the incredible joinery and the sculpted arm rests. They sure don't make furniture like this anymore.